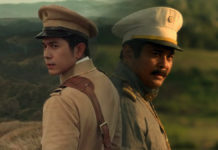 Goyo: Ang Batang Heneral is the sequel to the historical biopic of Heneral Luna wherein the 2015 box office hit won BIG in the 34th Film Academy of the Philippines’ Luna Awards. We’re pretty sure the successor will follow suit. Yesterday, director Jerrold Tarog announced the official Facebook page of GOYO: Ang Batang Heneral for the pvblic to catch up on updates on the sequel. 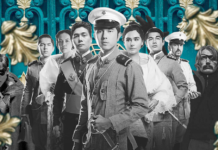 They’ve already included a pretty smexy photo of General Gregorio Del Pilar played by Paulo Avelino. And you can see it’s already in the pre-production process. You’ll see a lot of Mon Confiado, Epy Quizon, Arron Villafor, Alvin Anson, and Carlo Aquino in the movie. It is set to hit cinemas in 2018. Who’s ready to see some amazing parts of Philippine history?